Impeccably renovated townhome in Mews of Highland Park. 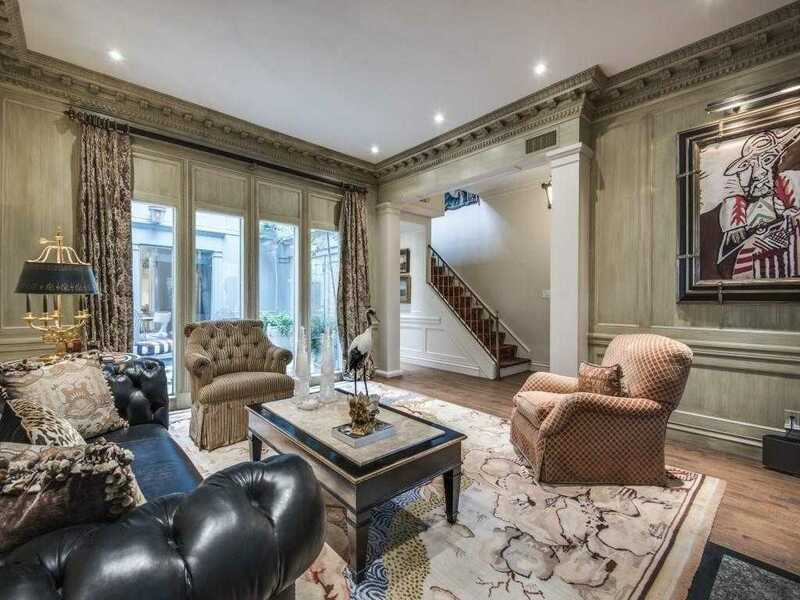 Custom scraped floors and gallery-finished walls throughout this exquisite traditional residence. Living and dining rooms feature fully paneled, glazed-finished walls and parquet floor wood borders. Chef’s kitchen is complete with Farrow and Ball lacquer cabinets with custom oval glass doors and white Carrera marble countertops, a SubZero refrigerator, gas Wolf range and Asko dishwasher. Light-filled central courtyard with fountain. Abundant storage throughout, including a climate-controlled, third-story clothes storage space with separate cedar closet. Incredible location accessible to Park Cities and Downtown. Please, send me more information on this property: MLS# 13820480 – $699,000 – 4350 Westside Drive, Highland Park, TX 75209. I would like to schedule a showing appointment for this property: MLS# 13820480 – $699,000 – 4350 Westside Drive, Highland Park, TX 75209.